Do you understand what your business is trying to tell you? All of the Suiter Business Builder strategies are founded on a single idea: knowledge is power. Knowing how to get there are the critical steps to creating a successful business. Our business is dedicated to giving you and your team the insight, understanding and tools to manage your business with clarity and confidence, so that you can design and build your business to suit your particular specs. Get your FREE Business Health Assessment to find out where your business is bleeding profits! All of our strategies fall under one of four basic building blocks, which will be very familiar to you. Learn to use these in a business context and you can build anything. Asking questions is especially important at the beginning of a project. We encourage inquiry every step of the way. As we begin working together, we will ask you some very basic (but not always easy to answer) questions about the changes you’d like to make in your business. As you move forward, we’ll suggest you continue to keep an open and curious mind. After deciding what you want to build, the next step is creating the blueprint — the plan you’ll follow to achieve your goals. That plan could be a marketing plan. A profit plan. A plan for employee engagement/improvement. Since all of those plans will be part of a single structure, we’ll make sure you understand how they all fit together. And we’ll help you understand how to estimate the time, materials and effort you’ll need to assign to each part of the project. Outline steps and plan resources. Building takes people and tools. We’ll make sure you’ve got both. On the people side we’ll get your business up to speed, running on time and on budget — at a profit!— by establishing a culture of accountability. We’ll show you how to outline clear roles, measureable goals and reliable feedback for everyone in your company. At the same time, we’ll take care of making sure you and your staff have every business tool you need, to keep things moving smoothly. Financial Health Assessment – So you can get a clear view of your financial strengths and weaknesses. 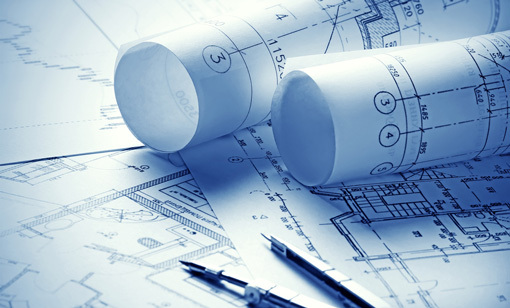 Planning Systems — To help you plan for a successful future in your business. Forecasting Tools — Budgeting and cash flow – so you can control cash flow and plan for profits. Accountability Systems — Including job descriptions and job review templates. The support you need to manage by results. Make sure everyone knows what they need to do. You planned, designed, even executed. Did you hit the target? Exceed it? Did your people perform as requested? Are there holes in your process that need to be patched? Is there a leak in your money flow? On-going inspection — keeping a close eye on your results and in touch with to your staff — is essential to your business’s health. We’ll show you the places that need your attention and make sure you un-derstand what you’re looking at. Then, we’ll show you how to give clear, supportive feedback to your staff and team so that others can help carry the weight. Stay on top of what’s happening. Get your "Inspiration to Greatness" with Vicki's Quote Action!